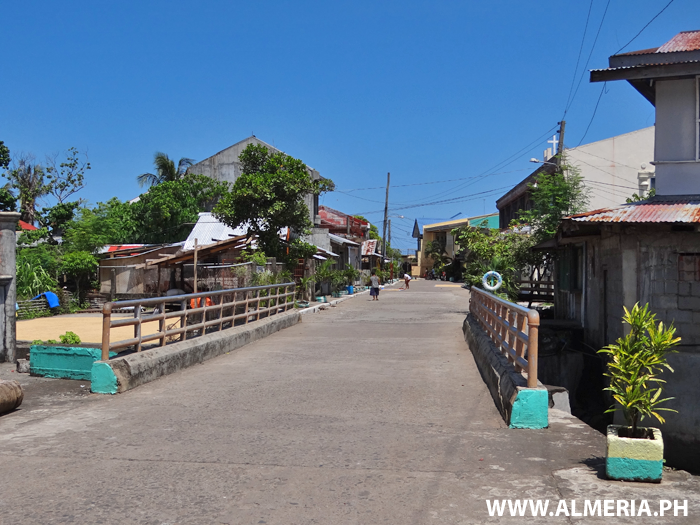 The bridge across the river in Rizal Street, Almeria Town, Biliran Province. The river through Almeria town is restricted by tight Flood Defence Walls that force the water higher. 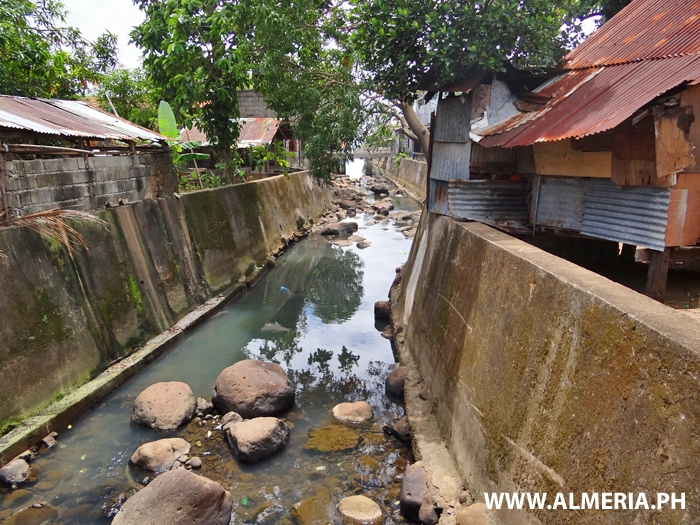 Do you think these walls are a good way to manage Storm flood waters? 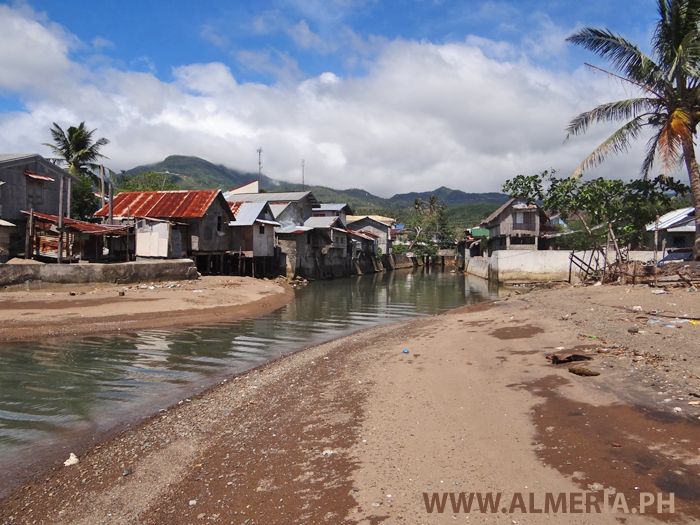 The mouth of the River in Almeria Town, Biliran Province. 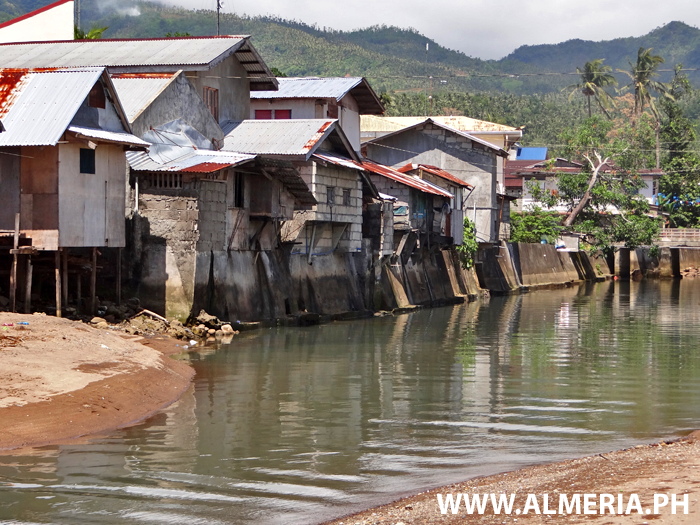 Houses along the river in Almeria Town, Biliran Province.